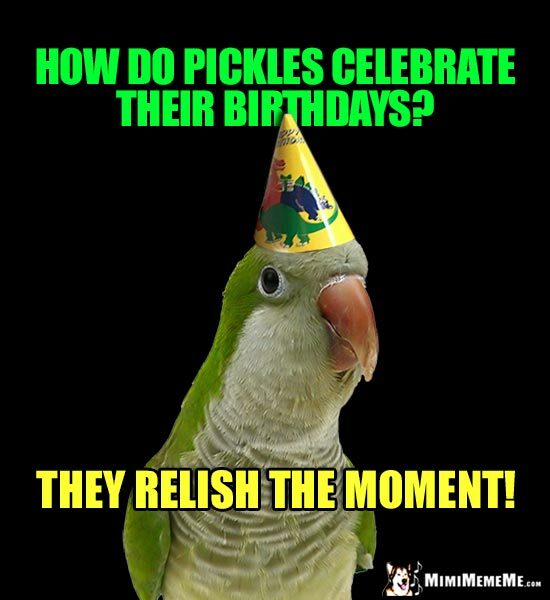 Funny dog and fine-feathered friends like a Howling Good birthday party, cheep Bird-Day laughs, seedy party humor, choppy puns, fruity laughs, biting B-Day jokes, and screeching funny laughter at your Happy Birthday bash! 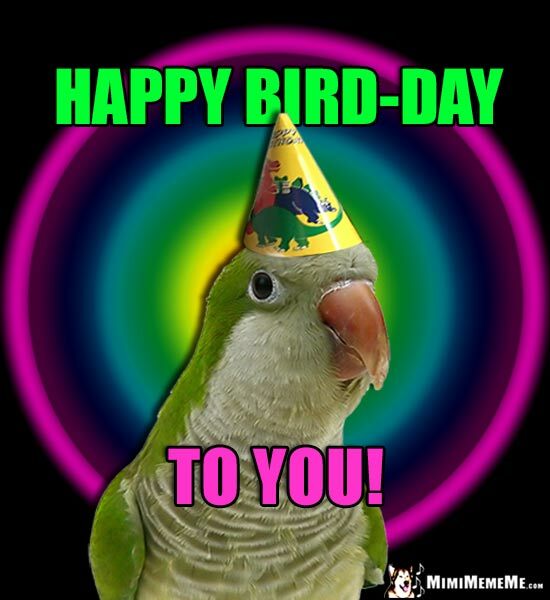 Funny Parrots Tell Birthday Jokes & Send Humorous Bird-Day Greetings to Anybody Listening. 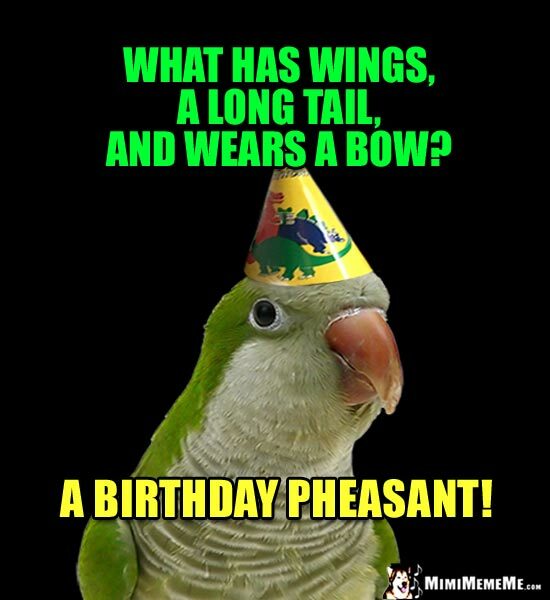 Too bad this bird isn't a loon, or you'd know the tune he's singing instead of traditional "Happy Birthday." 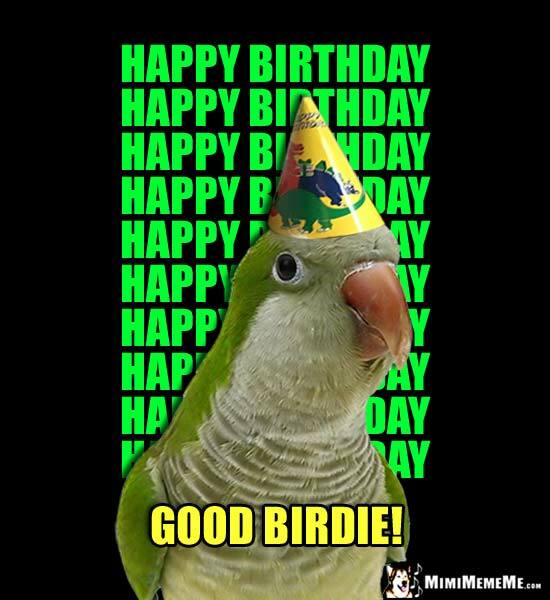 Good Birdie has a lot to say today: Happy Birthday, Happy Birthday, Happy Birthday... Flipping you the bird for your Bird-Day? 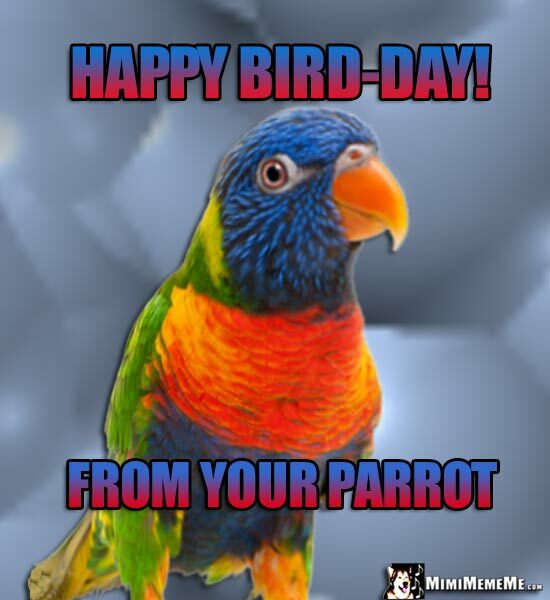 No, just being a parrot: Happy Belated Birthday, Happy Be Birthday, Happy Late Bird... Good Birdie! 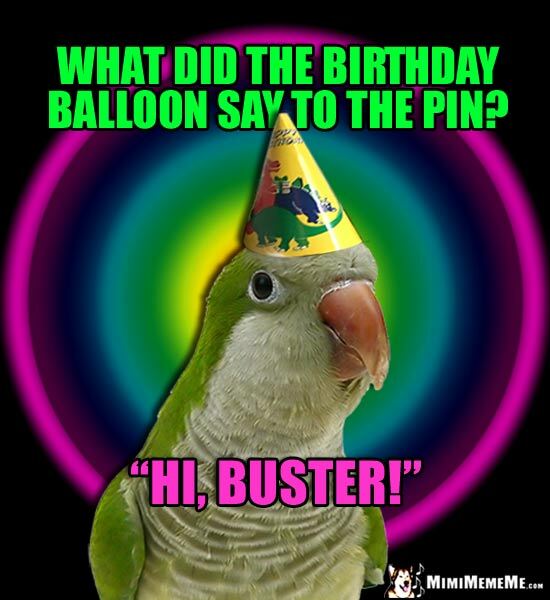 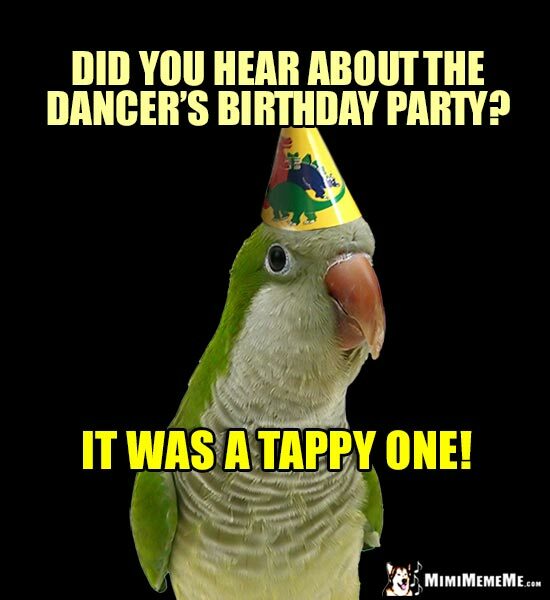 Parrot was hunting for a bad birthday pun and he found one for you. 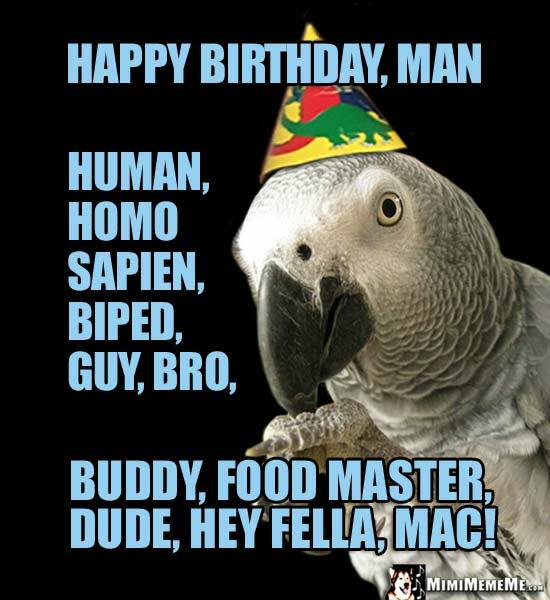 Happy B-Day! 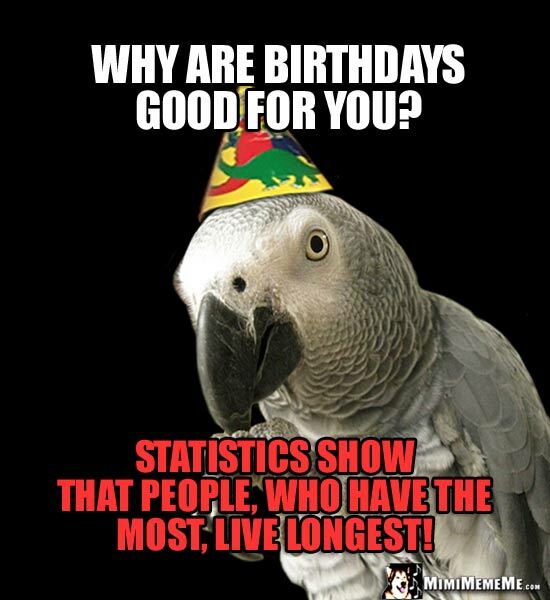 Wise Birthday Bird knows what's good for you, even though he's not an owl. 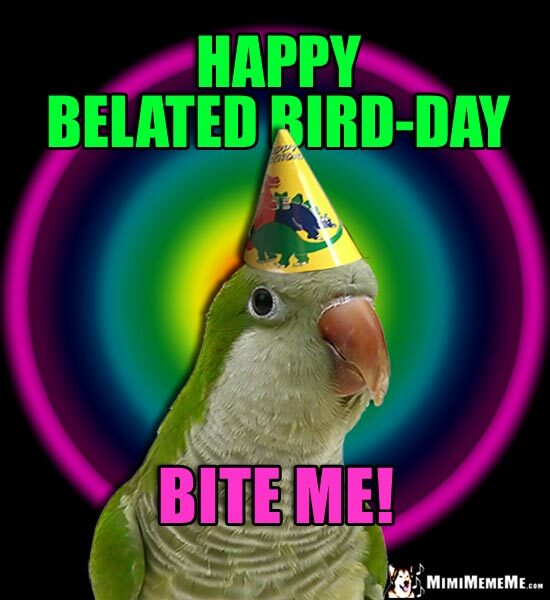 So, Good Bird-Day to you! Talkative parrot wishes Mom a very Happy Bird-Day. 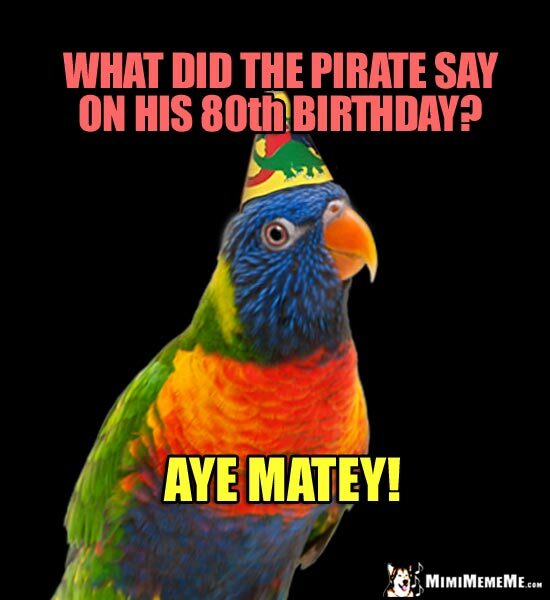 Parrot time travelers are always on time. 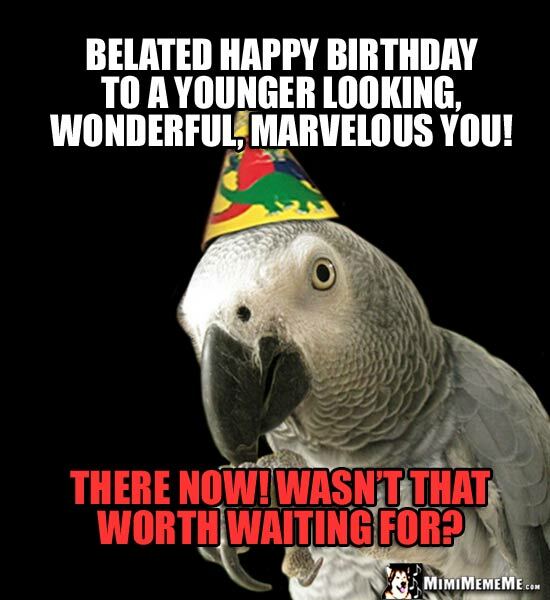 But you don't have to wait any longer for this Happy Bird-Lated Birthday greeting. Chatty parrot wishes Sis a very Happy Bird-Day.